Designed to perform, with high print speeds and efficient consumables use. The MC873 colour A3 MFP is ideal for the more demanding workgroup, with print speeds of up to 35ppm, just 9.5 seconds to first print and 10 seconds to first copy. Offering secure and intuitive functionality that enables easy and efficient integration with and management of any document workflow. 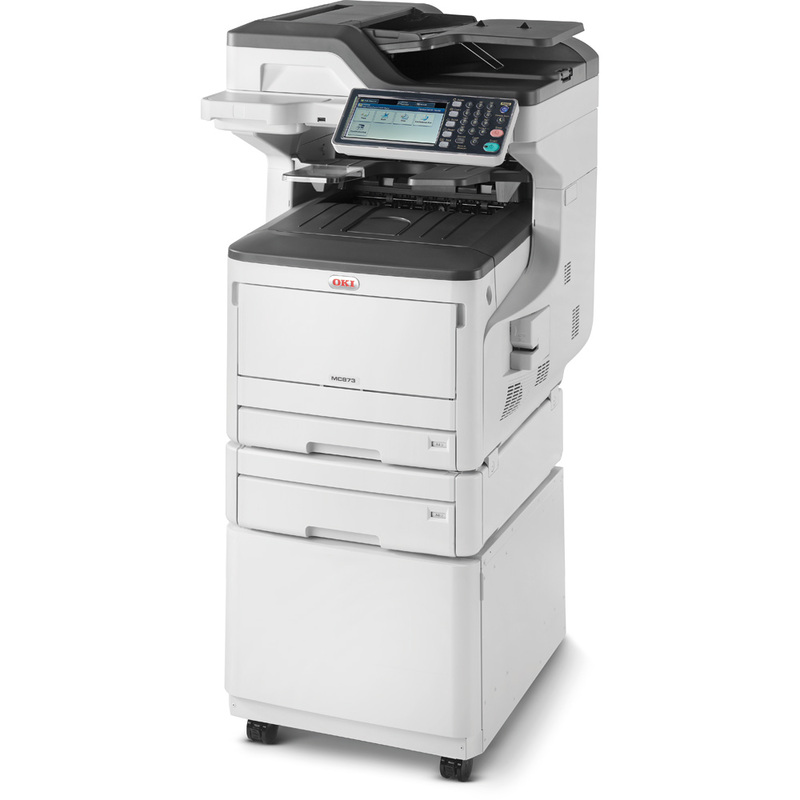 The MC873 combines the reliability of OKI’s award winning digital LED print technology with extensive copier functionality, in one high speed, easy to use device, ensuring outstanding print and copy quality as well as comprehensive scan and document management. OKI’s smart Extendable Platform (sXP) ensures the MC873 sits at the heart of your document workflows with a simple to use, customisable 7” touch screen that operates the device and all document functions.